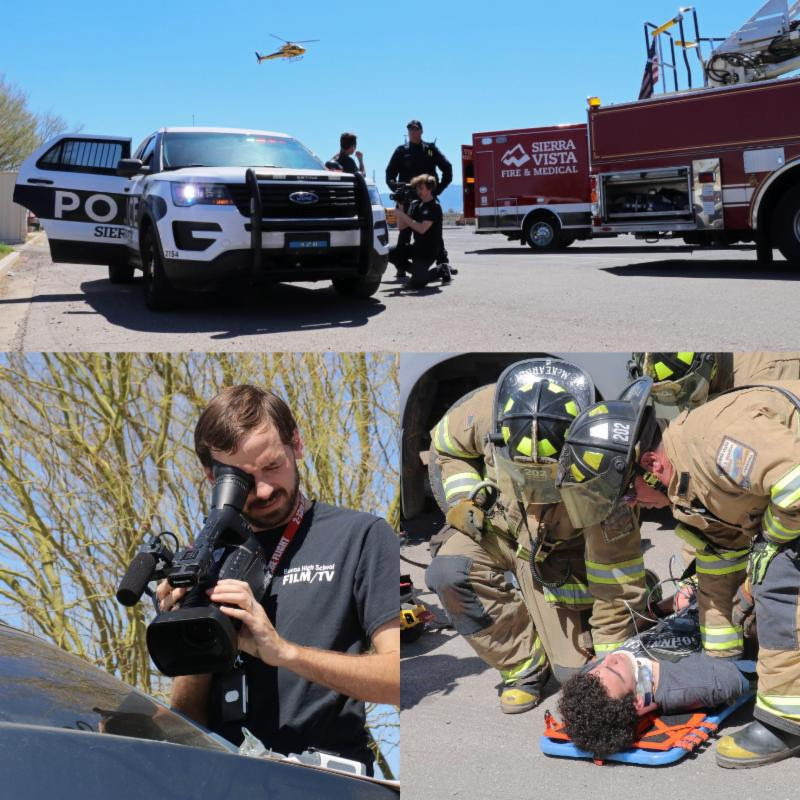 #SVFireandMedical and #SVPolice teamed up with the Buena High School Film and TV Production class last week to make a video showing the dangers of texting while driving. The video will be shown to the Buena student body on April 24. AARP Tax-Aide Sierra Vista - Weekdays through April 15, 10:00 a.m.-1:00 p.m. Stacks After Sunset: Sewing 101 Part II - Monday, April 1, 5:30-7:00 p.m.
Amazing Arizona: Experiencing the San Pedro River - Tuesday, April 2, 1:00-2:00 p.m.
Computing Made Easy - Tuesday, April 2, 3:30-5:30 p.m.
Sierra Vista Genealogy "Genie" Club - Wednesday, April 3, 1:00-4:00 p.m.
Hands-Only CPR and AED Class- Wednesday, April 3, 6:00-7:00 p.m.
Résumé Building - Thursday, April 4, 5:30-7:00 p.m.
An Hour to Kill Mystery Book and Crime Club - Friday, April 5, 1:00-2:00 p.m.
Firebolt Youth Triathlon - Saturday, April 6, 9:00 a.m.-noon. Third Annual SonoraFest - Saturday, April 6, 10:00 a.m.-6:00 p.m. and Sunday, April 7, noon-4:00 p.m.
Hummingbird Banding Session - Saturday, April 6, 4:00-6:00 p.m.